Amsterdam is a hip and bustling city that is not only steeped in history that dates as far back as the 16th-century, but also has somewhat party zone reputation as well. Some stereotypes DO ring true to Amsterdam, but I wouldn’t say that’s a bad thing. Yes, you have the pot, yes you have the girls in the windows trying to seduce the onlookers, but even though Amsterdam is seen by many people as a bachelor’s dream party weekend city, it is much more than that, by far. It’s also super safe for a solo female traveller, so if you had your doubts about visiting this city because of what you’ve heard about the raucous party street scene that comes to life when the sun goes down, you’d definitely be doing yourself a disservice. 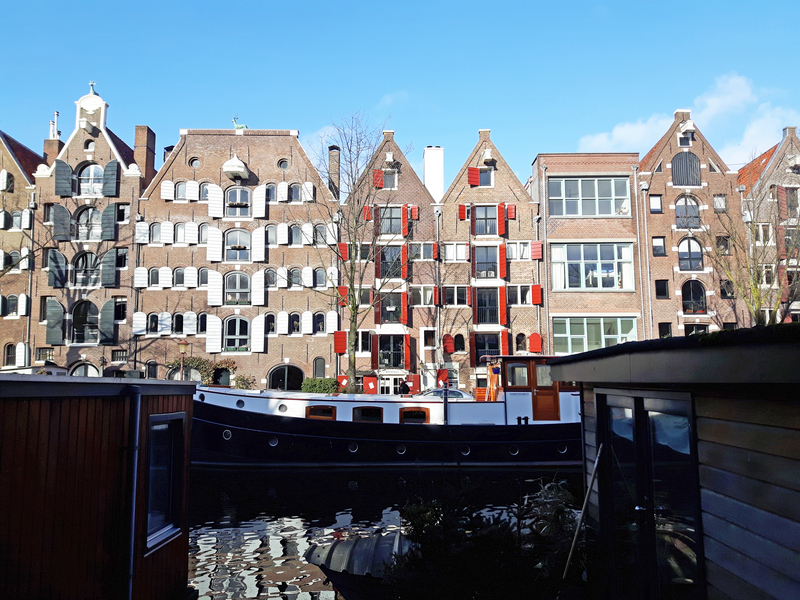 Amsterdam was the perfect city to explore on my own and wandering around the canal lined streets while gawking at the crooked and unique architecture was one of my favourite moments while staying in the city. The locals are friendly, it’s easy to navigate and the entire city just screams cool. What’s not to love? 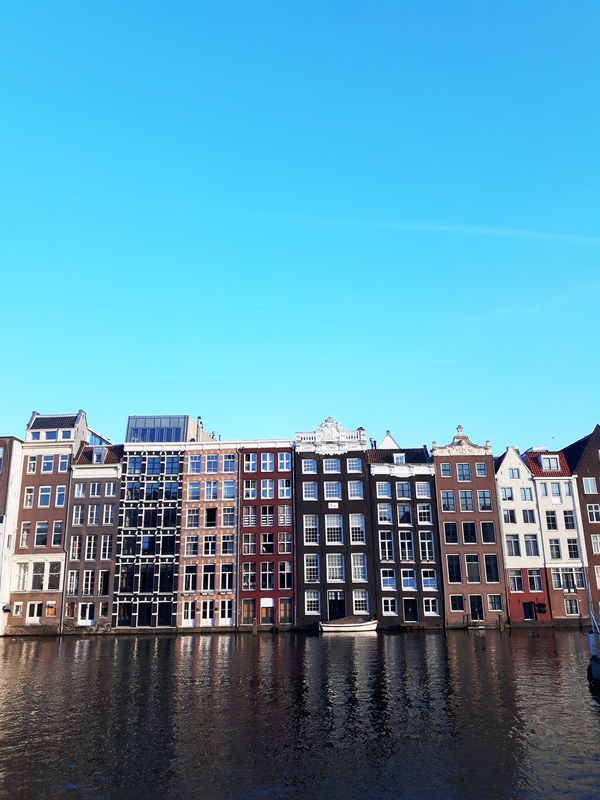 If you’re travelling to Amsterdam as a solo female, here is a helpful list of the Where, What and When’s for you, so you can plan your trip with ease and confidence. 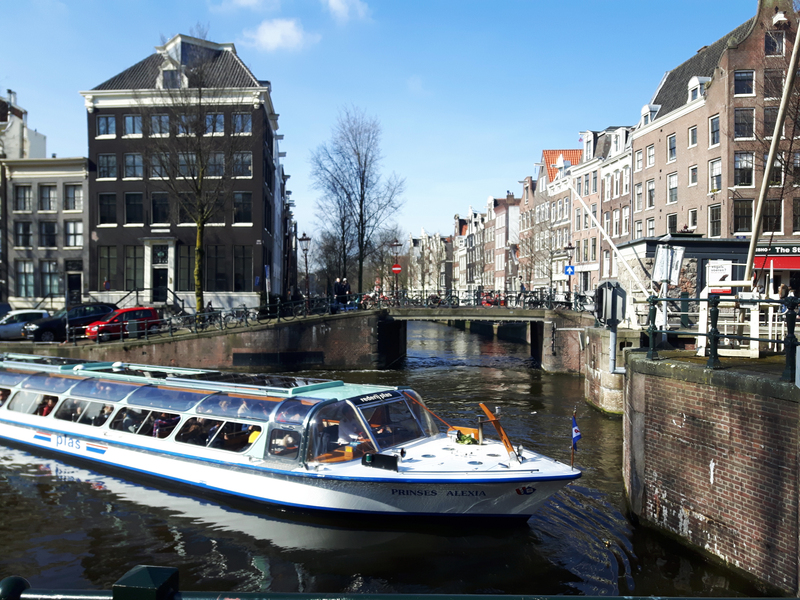 Staying in and around the canal ring may be pricey, but it’s a convenient area to stay in and see all the major attractions. 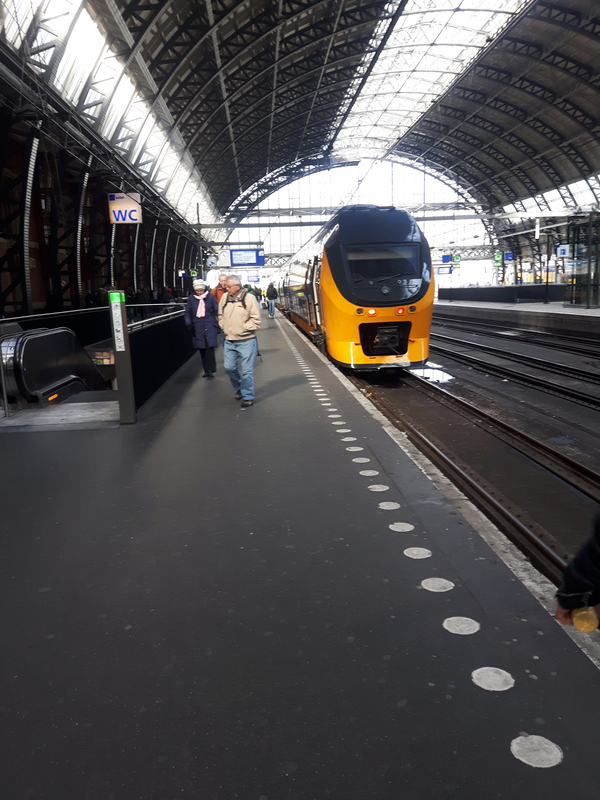 It’s close to public transit and to the Centraal Station. There are many different neighbourhoods to base yourself in such as the hip and artsy Jordaan area, or the up and coming De Pijp area. 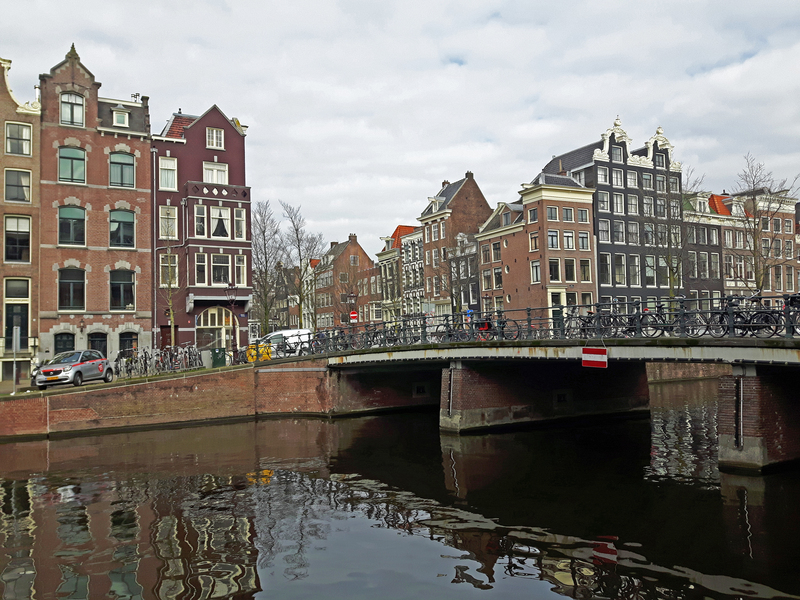 The canal ring area of Amsterdam is considered an UNESCO World Heritage Site as well due its historical and cultural value. Filled with shops, restaurants and beautiful walks, it’s the perfect area to stay in. 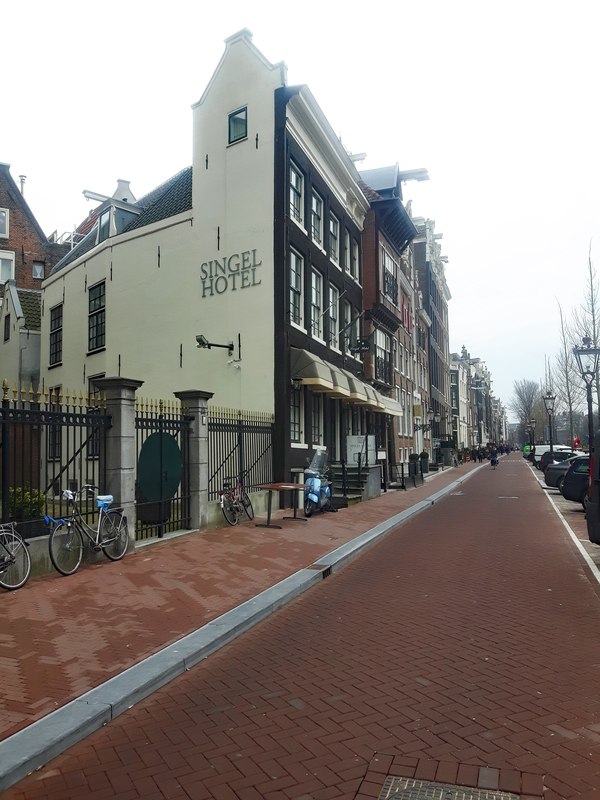 I stayed at The Singel Hotel located right on the Singel Canal. It was a safe, reasonably priced, clean and comfortable hotel and the staff was so friendly. I’d definitely stay there again. 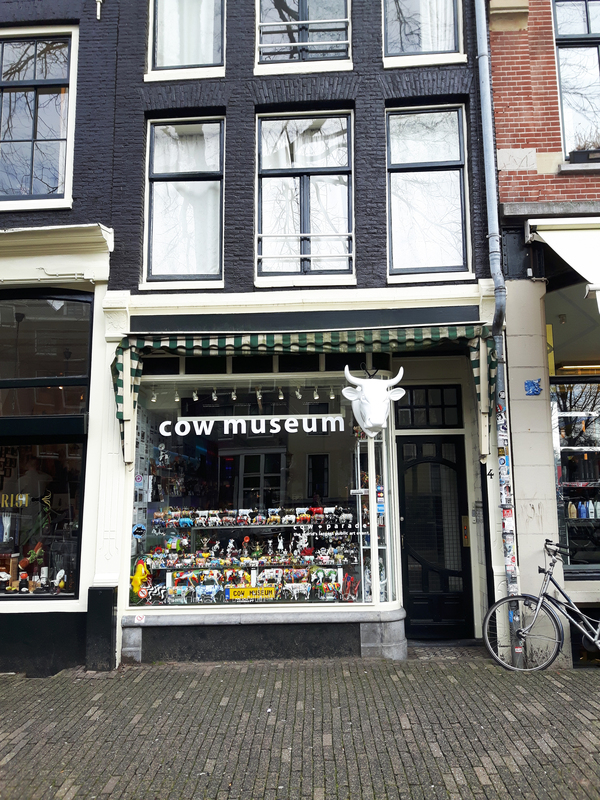 Amsterdam is mecca for quirky and interesting things to see. You should try to give yourself a minimum of three full days in the city to fully see everything; and even that may not be enough time. Travelling the city solo is a great way to concentrate on seeing the sites that you want to see. 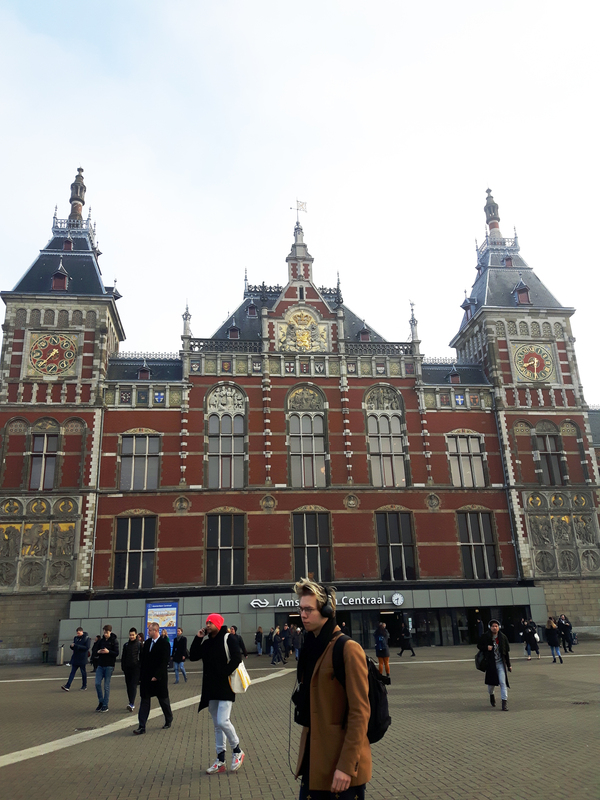 Some of the must see things in Amsterdam are definitely the beautiful canals, unique museums such as the Marijuana and Hash Museum, The Rijksmuseum, Vondelpark, shopping on De Negen Straatjes, the Red Light District, Zuiderkerk, Nieuwmarkt, Dam Square, Nieuwe Kerk, Centraal Station, hell, visit a coffee shop to smoke a joint if you’re into it; they are very safe as well and don’t tolerate any form of harassment towards its patrons. 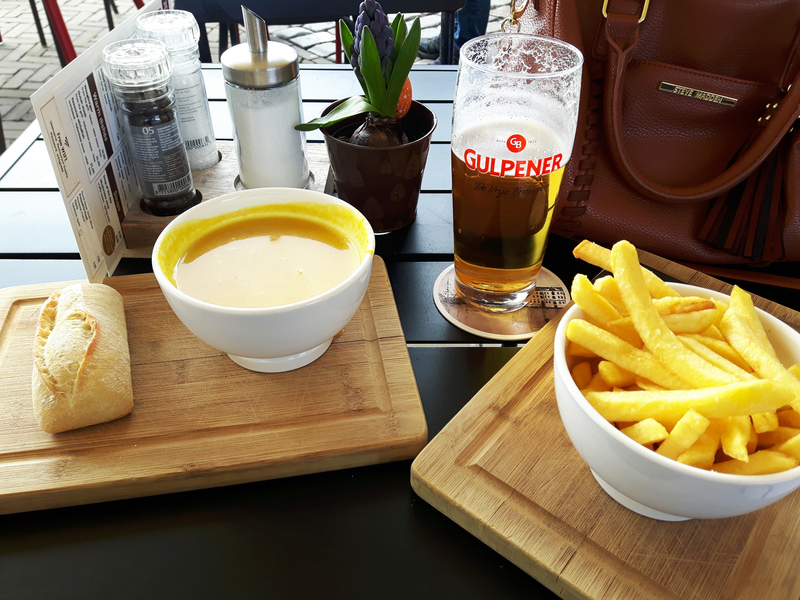 While walking around the canals of Amsterdam, you are sure to work up an appetite. 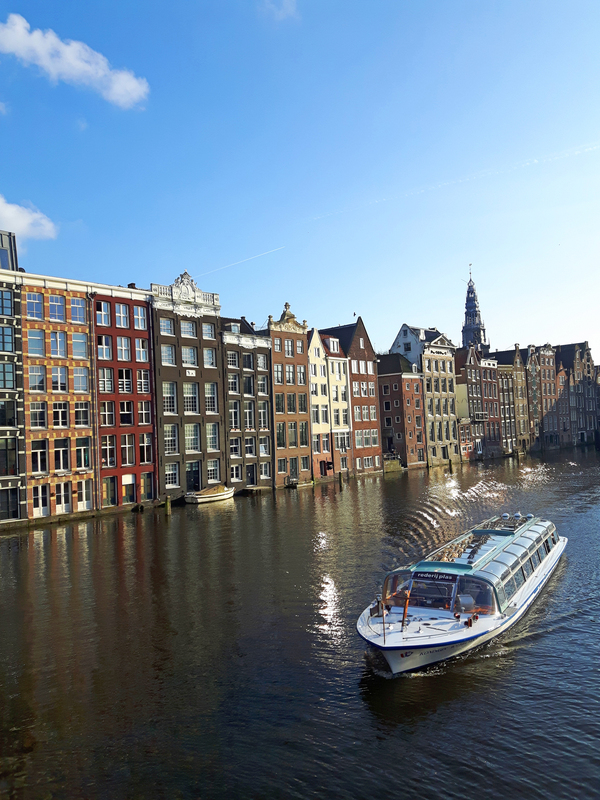 Amsterdam has been put on the foodie map recently as one of the top European cities to enjoy a various types of food; from traditional Dutch eats to creative fusion bites. 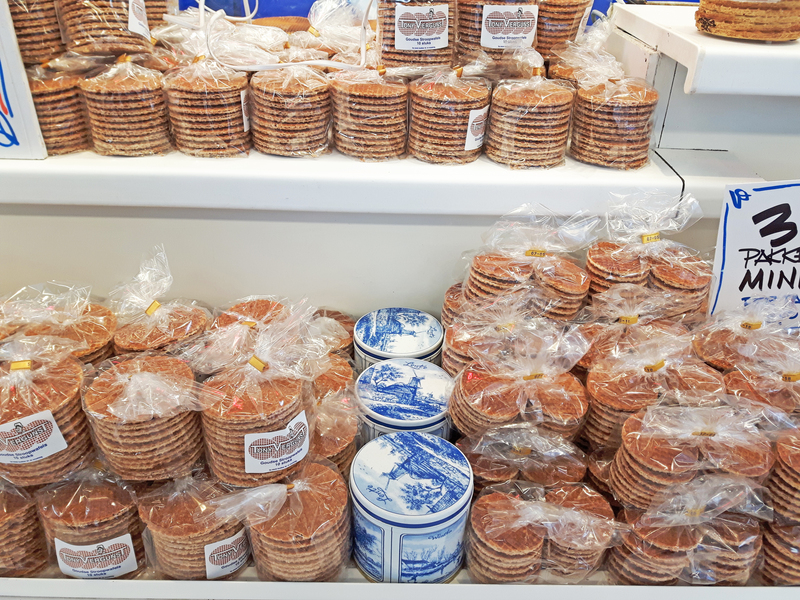 Make sure to try a stroopwafel, which is a waffle made from baked batter and sliced horizontally. The two thin layers of the waffle are then filled with a delicious sweet and sticky syrup in between. 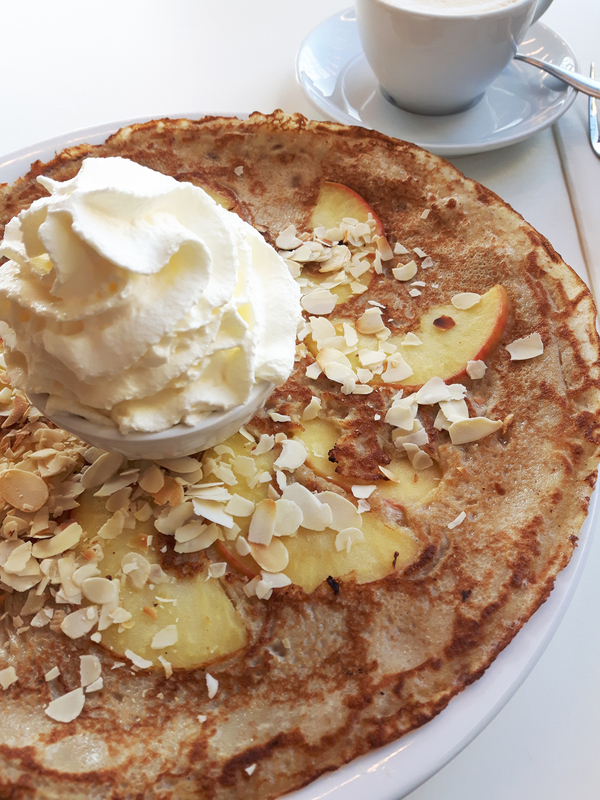 Also make sure to try a traditional Dutch batter treat called poffertjes. They look like baby pancakes but much fluffier. 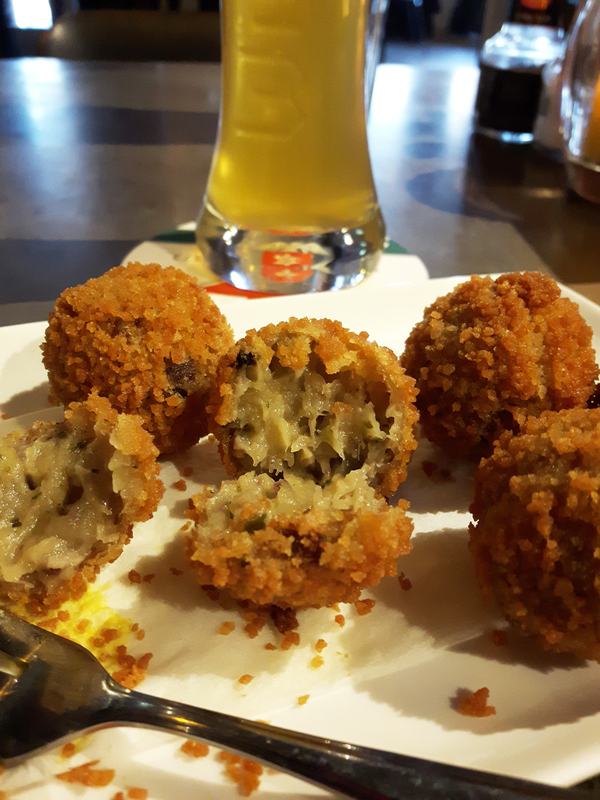 Don’t forget to try bitterballen as well. I became obsessed with this crispy, ooey gooey treat. The best way I can describe it would be deep fried balls of beef gravy. Not the healthiest, but DAMN are they good. 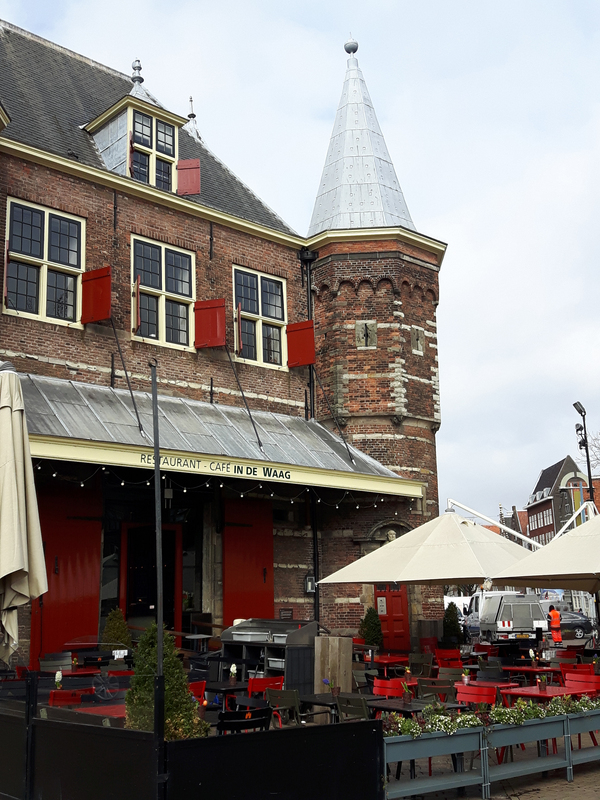 And no stop to Amsterdam is complete without sampling some Dutch and Belgian beers at a traditional brown café. 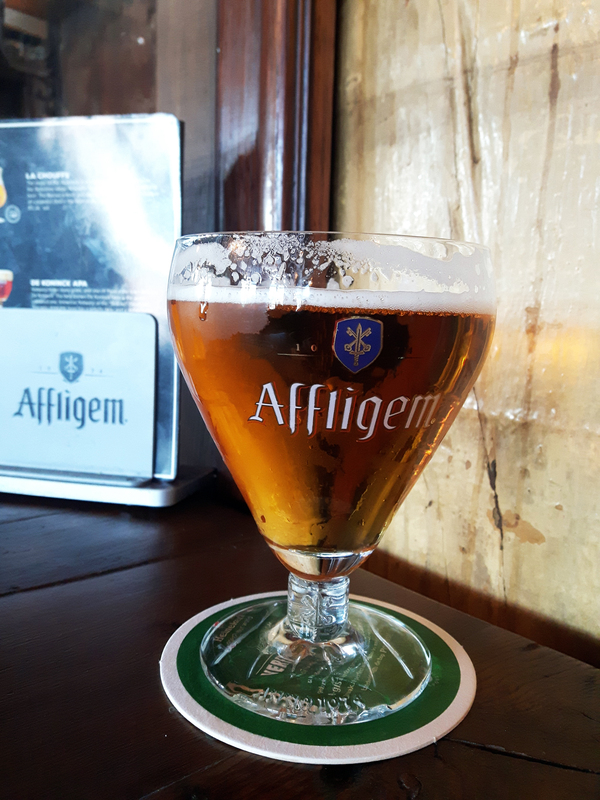 All restaurants and bars in Amsterdam are very accommodating to the solo female traveller. I didn’t have any issues grabbing a table for one even at a fancy steak house one evening and all the bars I drank at were very safe. I didn’t have anyone hassling me at the bar while enjoying a drink and a book. 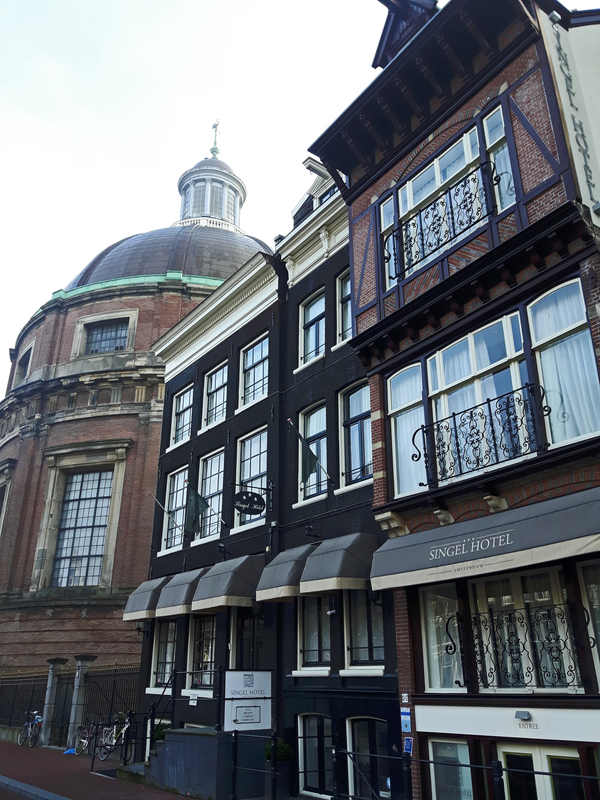 Amsterdam is fairly compact and easy to navigate on foot. All of the main attractions you’ll want to visit are just a short walk away from each other. If you absolutely do not want to walk to further areas, there is always the option of taking local trams that run all throughout the city centre and beyond the Canal Ring. You can also do a hop on hop off boat ride, which is a great way to view the city and travel like a local. 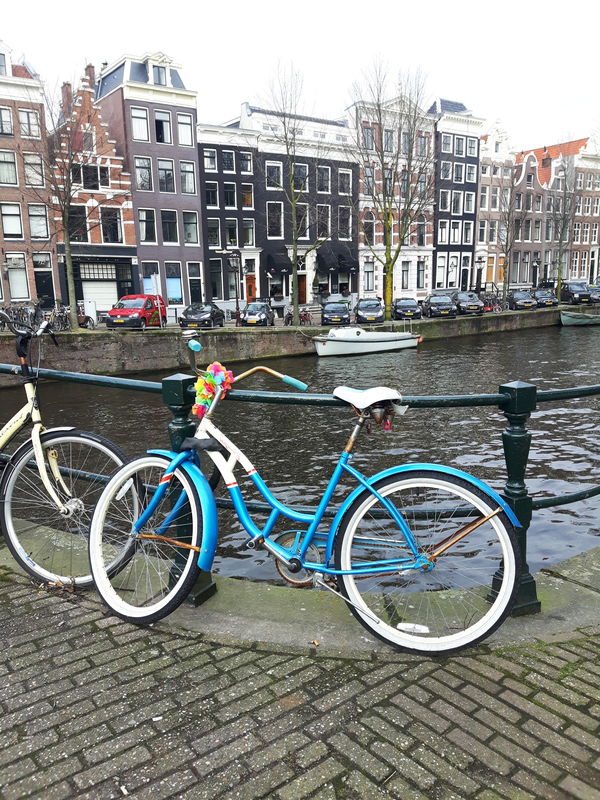 If you’re feeling really brave, you can also rent a bicycle to pedal your way around like a true Dutchie, but if you’re less than confident on two wheels, I’d advise against it. I’ve seen a few collisions with bikes and pedestrians and it just doesn’t seem like my idea of a good time. 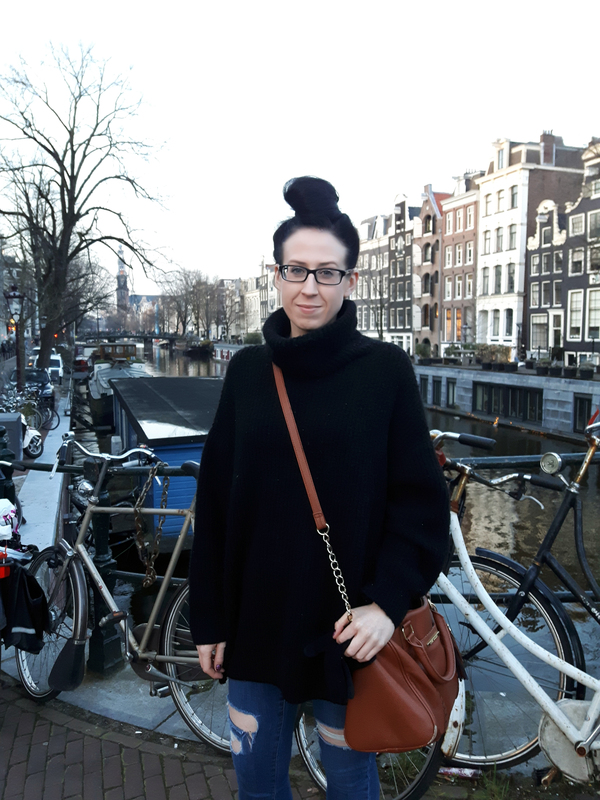 As a solo female traveller in Amsterdam, I walked everywhere, day and night, and felt perfectly safe. Yes, I even walked through the Red Light District at night and had zero issues. Just keep in mind that if you are alone and walking the streets, like any city, be aware of your surroundings and keep your bag close to you at all times. 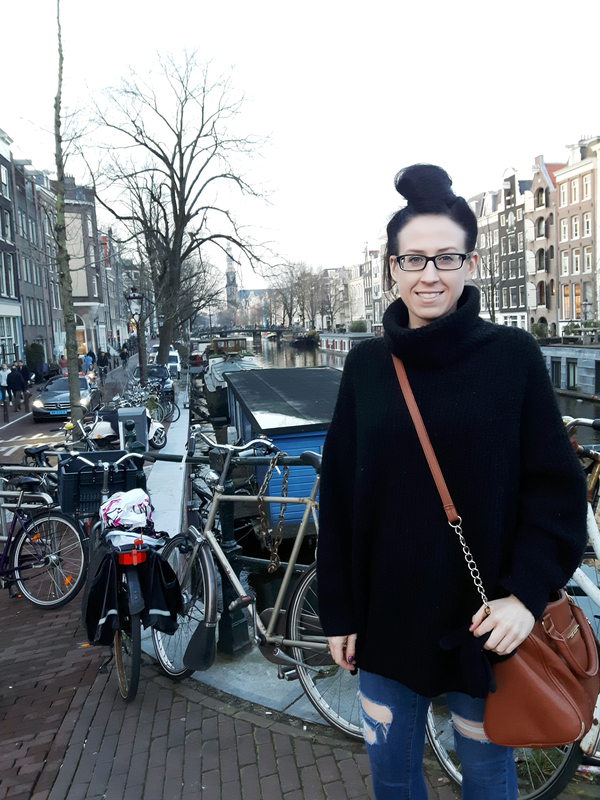 Depending on the time of year that you decide to visit Amsterdam, what you pack may vary. 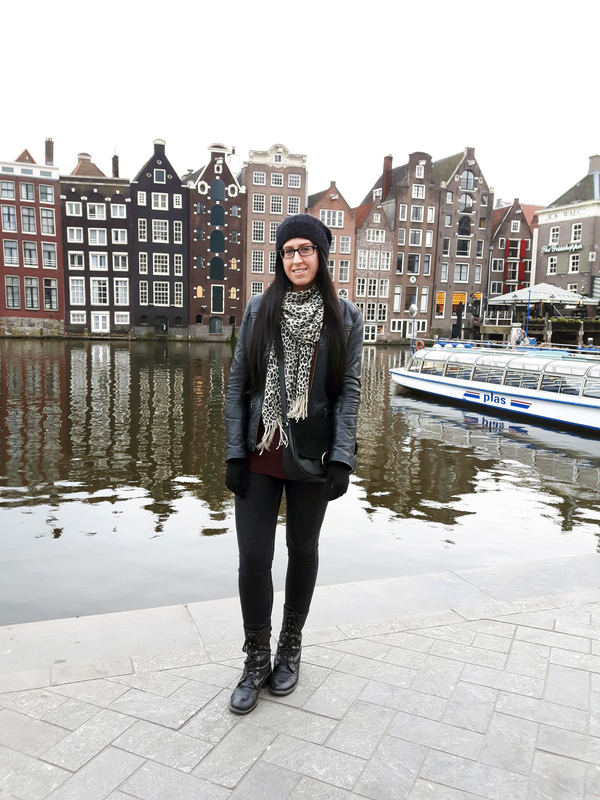 Amsterdam is a hip and trendy city, so all the locals look like they are straight out of a fashion magazine editorial spread. Mixing patterns and textures, the Dutchies aren’t afraid to stand out from the crowd. I visited in March and although it was unseasonably cold (some days colder than the next), I packed a few pairs of jeans, some sweaters, scarves, thin mitts and boots and I survived. I also had a leather jacket, but if you aren’t a cold weather person, you may want to pack a heavier coat. Packing a raincoat and umbrella is a smart idea too because that Dutch weather changes quite a bit and does get rainy at times. 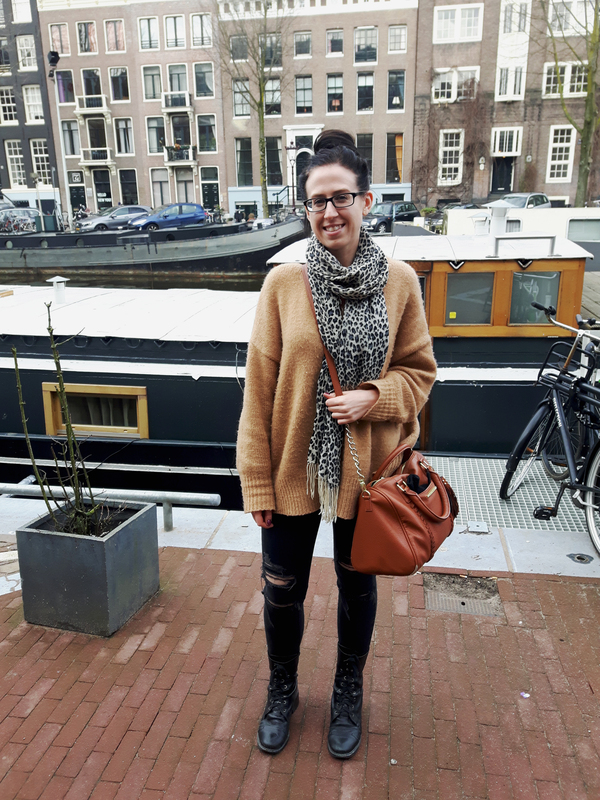 In the summer months, your standard summer clothes will do just fine (t-shirts, dresses and loose fitting clothes), but don’t overpack; Amsterdam has some of the best fashion in the world and you’ll be tempted to buy a few items of clothing during your visit. I know I did. Amsterdam is a city that doesn’t technically have a “low” season. It’s busy all throughout the year, although the cooler months are obviously slower than the summer months with tourists. 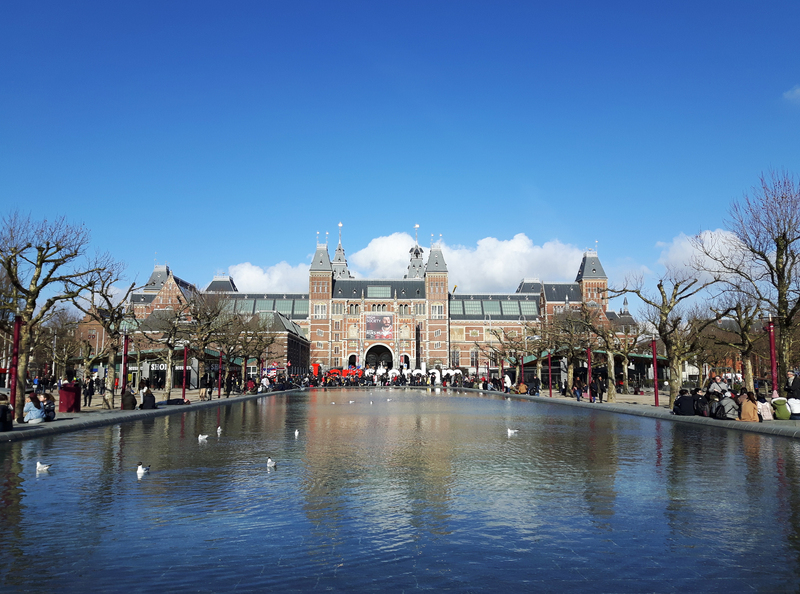 Depending on the type of weather you enjoy the most, Amsterdam always has surprises. Winter months are generally cold, with little snow and temperatures that rarely fall below freezing. 2018 was a year when the canals froze over and that is a rarity. Spring, like in most countries is slightly warmer, but very wet. I was there in March and had unseasonably cold weather; must be that cool Atlantic wind? Tulip season runs from the end of March to early May, so crowds tend to amp up around then. 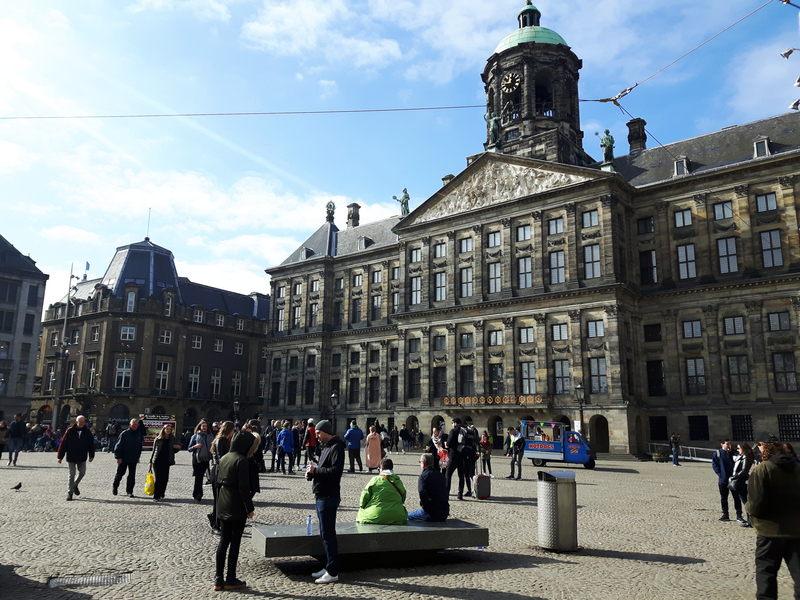 The busier tourist season, the time when hotels jack up the prices and streets get crowded is generally between end of May all the way through to the end of August. If you’re looking to get a more local experience with fewer crowds and you don’t mind cooler weather, I’d suggest going between mid-March to mid-April, or perhaps even in October when the temperatures are still mild, but the attractions won’t be as jam packed as they are in the summer months. Aww thank you so much! 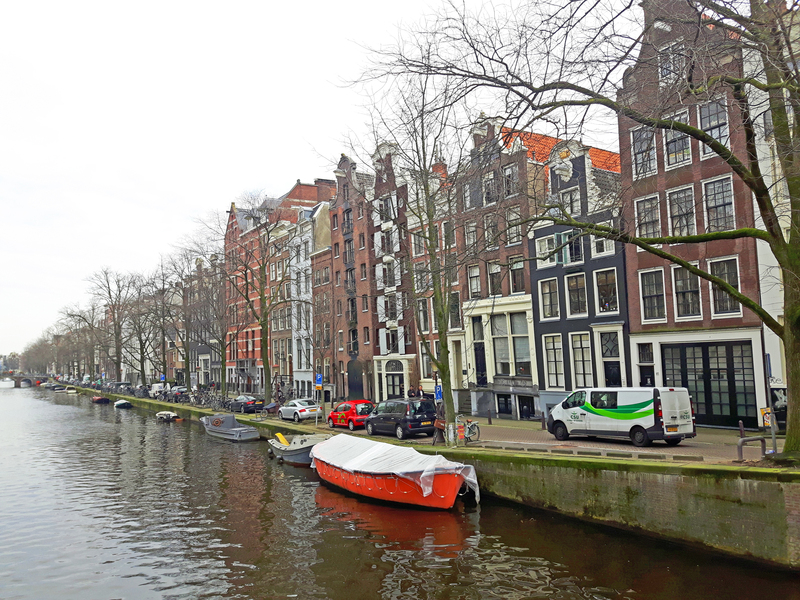 You’ll love Amsterdam. I immediately felt right at home there and was never intimidated by anyone around me. Everyone was so nice and friendly and really welcoming.